Tim is a conscientious, down-to-earth, seasoned veteran of the commercial real estate brokerage industry in the greater metro Denver area and Front Range. He facilitates the acquisition, disposition, and development of all types of commercial property. Over the multitude of years, Tim has built a distinguished reputation for his honesty, integrity, and reliability. His attention to detail results in transactions that are well-executed, and that define his character as one who cares about the needs of his clients. His familiarity with all metro area sub-markets ensures that his clients are kept abreast of supply and demand factors, absorption of space, and continually changing market conditions. 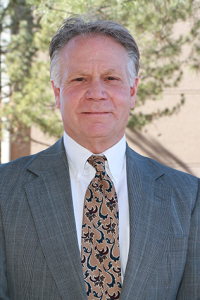 As a member of the Denver Board of REALTORS®, Tim is an annual recipient of its Million Dollar Roundtable Award. In addition to this honor, he is also a member of the International Council of Shopping Centers (ICSC). and holds degrees in Business and Recreation.